According to a financial report filed by USPS December, as of Sept. 30, 2014, Donahoe’s defined-benefit pension plan totaled $4,080,932. Postmaster General addresses National Press Club. WASHINGTON, Jan. 2, 2015 /PRNewswire-USNewswire/ — On Jan. 5, the United States Postal Service will lower standards for mail delivery across the nation. Mail will take longer to reach its final destination. In contrast, USPS expanded package delivery to seven days a week during the holiday season. Where is USPS headed in an era of growing ecommerce and package delivery, but a drop in the use of mail for bill-paying and personal correspondence? What about USPS’ finances? The postal service just reported its best quarter financially in seven years. Yet, USPS has been hobbled by a Congressional requirement to pre-pay billions in retiree healthcare costs. Congress also adjourned last year without approving either new members for USPS’ Board of Governors or enacting postal reform legislation that was years in the making. 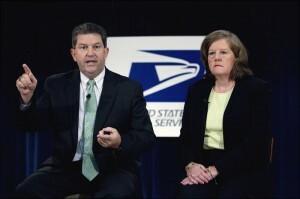 Postmaster General Patrick Donahoe who has led USPS since 2011, during one of the Service’s most turbulent periods, and is leaving his post on Feb. 1, will offer a frank appraisal on what is working and what needs to be fixed at a Newsmaker news conference 10 a.m., Tues. Jan. 6, in the National Press Club’s Murrow Room. Past National Press Club President Angela Greiling Keane, who previously covered USPS for Bloomberg News, will host the event. In a statement lauding outgoing Postmaster General Patrick Donahoe for his service, Sen. Tom Carper (D-DE) at the same time questioned the choice of Postal Service COO Megan Brennan as Donahoe’s successor. Read more: Carper Questions Brennan's Appointment as Postmaster General – Direct Marketing News. When Patrick Donahoe began his job as an afternoon shift postal clerk at a Pittsburgh post office in 1975, the mail was still sorted by hand. Packages weren’t much of a priority. And email, let alone online shopping, were decades away. “It was a dusty, dreary old place,” Donahoe says. Yet he stuck it out for nearly 40 years, rising to become postmaster general of the institution he joined as a 20-year-old student at the University of Pittsburgh making $4.76 an hour in pocket money. On Friday, Donahoe announced the end of that run. He’ll retire on Feb. 1, 2015 after four transformative and tumultuous years running the USPS. 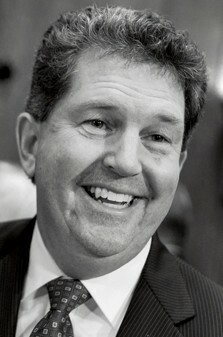 Read more: The Postmaster General Hangs Up His Mail Bag, With a Parting Shot at Congress | TIME. During today’s U.S. Postal Service Board of Governors meeting, Postmaster General Patrick Donahoe announced his retirement from USPS, effective in February. He will be replaced by Megan Brennan, who currently is the Postal Service’s chief operating officer. 11/14/2014 – Today’s announcement that Postmaster General Patrick Donahoe is stepping down is welcome news. Over the summer, delegates to the American Postal Workers Union national convention voted unanimously for his resignation. We hope that the next Postmaster General will reverse Donahoe’s policies of lowering standards, reducing hours, outsourcing work and diminishing a great American institution. We call on USPS’ Board of Governors to immediately freeze Donahoe’s policies and to do no more harm. Read more: Statement by APWU President Mark Dimondstein on Announcement That Patrick Donahoe Is Stepping Down as Postmaster General of the United States | APWU. WASHINGTON, Nov. 14, 2014 — The U.S. Postal Service Board of Governors today announced the appointment of Megan J. Brennan, the current chief operating officer of the Postal Service, as the 74th Postmaster General and CEO. 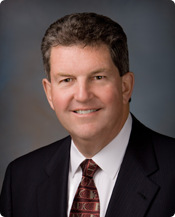 WASHINGTON — The United States Postal Service Board of Governors announced today that Postmaster General and Chief Executive Officer Patrick R. Donahoe has decided to retire February 1, 2015, after 39 years with the Postal Service.